Yes, I don't believe it either, I have got some more new DT stuff that I have done for TM having only finished the other lot a couple of weeks ago! Anyway, enough of my chatter... here is the layout and cards I sent off to Tomorrow's Memories today, they should be in store later this week for you to check out in real life... well that is if you are in Perth! 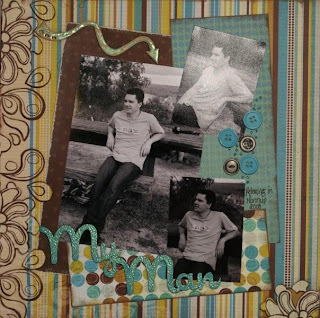 I used Kaisercraft papers for this layout, which I thought suited a boy theme without being too plain. I love these photos of my hubby Andrew which I took playing around with the new camera we had bought that week. We went away with frinds that weekend, and it was just the most relaxing pretty setting for a getaway! 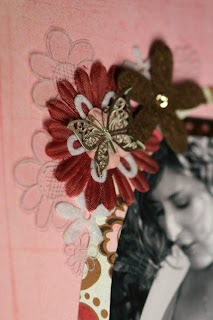 I made this card using one of the Twiddleybitz products which you are sure to be able to get at Tomorrow's Memories. 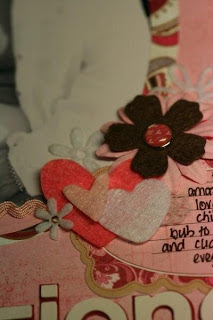 They are just great for creating cards quickly but having them look a little extra special. These cards were made using 'my little shoebox' papers which are available at Tomorrow's Memories... 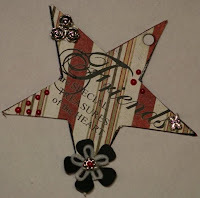 I easily made these three cards using the paper from only 2 sheets that were co-ordinated, and simply added some embellishments all of which are available at TM as well. Today was a friend's birthday, and although I am behind on some of my scrapping, I somehow managed to get this done in time to ensure she received them on her birthday. They didn't take me that long to do, but I really enjoyed it. I used Basic Grey papers again... I think I am going through a 'red' period (as artists would call it)... Hope you enjoy them Sonya! This first card I have made for a friend for her birthday. Hope she likes it cause she is very special to me! This second card I made for my hubby for our 10 year anniversary of when we met. 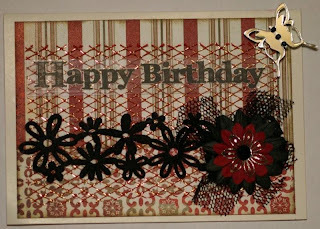 Once again I have used some beautiful Basic Grey paper for these cards as well as some embellishments from Twiddleybits. It is so easy to scrap when you are using your favourite products!! I know I said I would get this up by the end of the week, well time has gotten away from me, and well I hope you enjoy my rather larger than usual post of my recent work. I also have some other projects started which I will hopefully have up here REAL SOON!! I got this lovely pack of Basic Grey paper and embellishments to work with this month and thoroughly enjoyed it, easy considering that Basic Grey would have to be my favourite papers.... 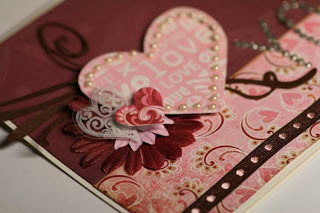 I had a great deal of fun with it trying out some new things as well as using 'love' themed paper in a different way... Hope you enjoy them. 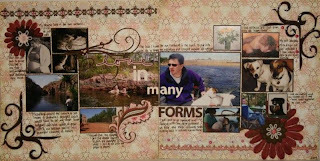 This first layout I did of when my hubby took me to Queenscliff for the day to celebrate Valentines day. Being near he end of my pregnancy I have not been up to doing a great deal so it was so nice to relax and go for a drive. The photos here are taken at Point Lonsdale where the Port Phillip 'heads' meet. I have had the ideas for this layout for ages and finally had the right photos to go with the embellishments I wanted to use. I used some new things on this layout.... first my distressing tool which made the edges all ripped and tattered.... it is the BEST so quick to use! Also experimented with a Tim Holtz Mask that I bought (you can see it on the left in the background) gotta love flourishes and swirls! I even did some sewing on this layout which I have been meaning to incorporate more of into my layouts... and added some material for extra dimension. My sewing on the material needs a bit of improvement, but hey at least I am giving it a go! I have been really inspired lately by the amount of dimension on different layouts and really tried to achieve this in this layout. I had a great deal of enjoyment putting it all together! The Basic Grey Bittersweet range is so YUM for making lovey cards.... 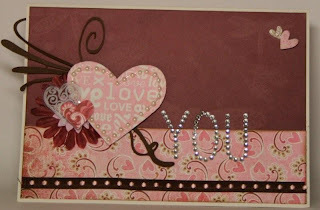 This one could be used for any occasion or simply to let someone know how much you love them! 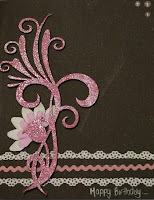 I am enjoying using my Pazzles cutter and cut this swirl out (the brown one) with it. The sticker sheet that comes in the range was really good to use for making cards in very little time. The white clear heart has been made using 'Stazon' Opaque White ink stamped onto some transparency and then cut out. 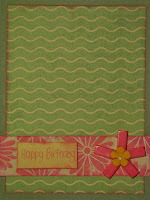 Again here I have used the 'Bittersweet' range by Basic Grey to create this double layout. I really enjoyed doing this layout of some things that are quite personal to me. Guess it is a bit of an insight to me 'now'. With so many things going on in my life at the moment, it is nice to reflect on the good things... the things we cherish so much... but often don't think about often enough. 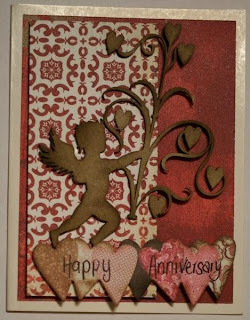 My Glossy Accents got a bit of use on this one glossing up some of the embellishments like the Twiddleybits flourishes in the corners and the love sticker as well as the cut out flourish out of the paper range. Also used some of the new Kaiser silk flowers, these just feel SO soft and the colour couldn't have gone better. This layout came to me pretty quick last night and really helped me feel that I have my scrapping mojo back. I really didn't need to think too much about it and had it done in no time at all. 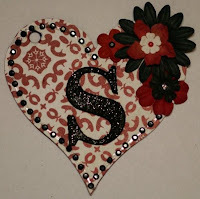 It started as an excuse to use my Pazzles cutter to cut out the lovely oval shape out of the paper range... From there I just added some embellishments and lettering. Again I tried to add some dimension here with flowers in different forms (acetate, felt and paper) as well as bling and metal embellishments like the butterfly and basic grey matching brads. 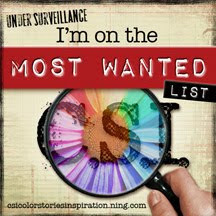 I have been really enjoying looking at blogs and reading some of the latest magazines. They helped me try a few different things and I really enjoy that. It doesn't matter where you get your inspiration from as long as you stay true to your own style. Take the time to look at more blogs and read the articles in your mags, there just maybe something you have not tried before, or not tried for a while that you may enjoy incorporating into you layouts! Oh nearly forgot..... if you want to see these in real life.... check them out at Tommorrow's Memories in WA they should arrive at the shop early next week! Well, I am not sure that I look all that bigger, well in the area of the bump anyway. Probably because I have been very good at putting on weight myself. Can't wait to get into some serious exercise when the bub is here and loose all that I have put on (and well maybe a few more kgs). I have not been allowed to do exercise during the pregnancy which makes for keeping the weight down really hard. Oh that and the fact that lately I can't stop eating!! Well enough about how I feel about my weight gain... here is a photo of me at 7 months which my lovely hubby took for me. 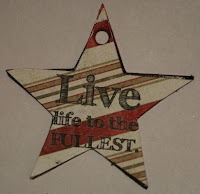 I have been getting more tired over the last couple of weeks, and therefore struggling with my scrapping. Partly because the bump is getting bigger... and a bit in the way when I am leaning over my desk or when I drop things on the floor... I am more likely to scrap everything I want to get done in one day these days instead of a bit at a time. I do have a couple of projects on the way though, so will post some new work before the week is out! Thank-you to all the lovely people who take the time to visit and also those who post comments on my blog, even if I don't know you personally... YET! Mixed Media Monday: Let's explore alcohol inks! Life has been a little bit crazy lately!!!! 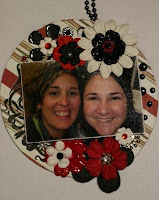 National Scrapbook Day!!! 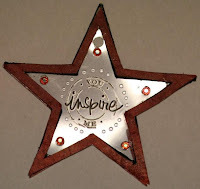 The Scrap Kitchen Blog hop - win a prize!! !